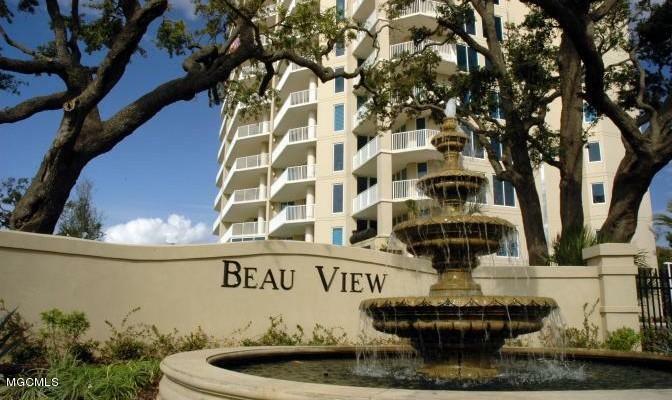 Beautiful well-maintained condo at Beau View. Sold UNFURNISHED and ready for new owners. Upgrades include real hardwood floors and custom backsplash in kitchen. Both HVAC systems and water heater have been replaced within the last 2 years. Great location for you to enjoy the Gulf Coast views. Close to all that Biloxi has to offer. Call to schedule your showing!!! Listing courtesy of Katherine Decoito of Exit Prestige Luxury Realty.